Need plumbing work done? 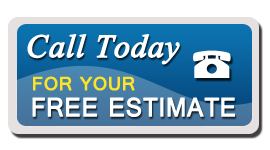 Whether you need a small repair job done or a complete installation, we’ve earned our reputation as one of the top plumbing contractors in Chicago, IL, and we’ve done it one customer at a time, but providing the best in reliable, quality service. Our professional staff is experienced, courteous and competent. It’s our goal to always provide our customers with the best possible service and to exceed their expectations. That’s why our customers always come back to us every time they need plumbing services. We’ve been plumbing contractors in Chicago, IL for many years, providing service that our customers have come to trust and rely upon for every plumbing need that they have. Call us today and you’ll see that we answer your call, show up on time and get the job done quickly, cleanly and efficiently. We know that there are a lot of plumbing contractors in Chicago, IL for you to choose from, and that’s why we work so hard to make sure that we do the work right the first time, every time. We’ve built our business by making sure that our clients are happy with the work that we’ve done, so no matter what your plumbing needs are you’ll always have the confidence that calling us will get you responsive, reliable service that’s done quickly and competently. We stand behind our work and ready to meet your plumbing needs, whatever they may be. If you need a plumbing contractor in Chicago, IL it’s important that you hire the company that has the experience and the knowledge that you need as well as the understanding of how valuable your time is and how disruptive a plumbing problem can be. We’re focused on getting your problem fixed quickly and economically so that you can get back to your normal schedule. Give us a call and let us address all of your needs. We’re here to take care of your repair or installation needs whenever you need us.